Cross country skiing is a great winter activity for families, often more affordable and easier to get into than alpine skiing. Kids can start Nordic skiing as early as 4 or 5. It’s great exercise, gets you out in the great outdoors too. You can even go Cross-country skiing in your back yard. But for the best cross-country skiing experience, resorts offer groomed and tracked trails, plus lodges, warming huts, and rental Nordic equipment. 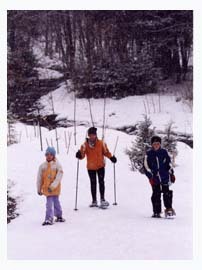 You can make a day, weekend or week Nordic ski trip with your kids. Here are the top xc ski resorts in New England and The Rockies for a family-friendly cross-country ski trip. 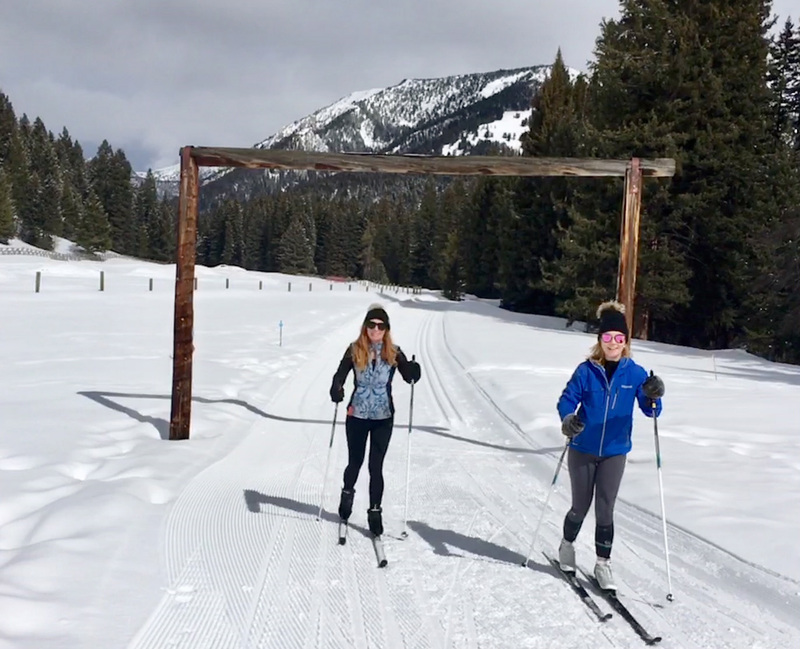 Even if your family is staying at an alpine ski destination you might want to spend part of a day or an afternoon on the xc ski trails for a change of pace. Trapp Family Lodge in Stowe, Vermont is one of the most famous family resorts in a truly dramatic setting – where the hills come alive with the “Sound of Music.” In the Green Mountains of Vermont, this authentic Trapp Family Lodge is a paradise for families with Nordic ski trails, a fitness center, an indoor pool and a Mountain Kids Club providing playtime, craft time, and movies for kids. And you are a short drive away to the beautiful Stowe Village and Stowe Mountain Resort for alpine skiing and snowboarding. Watch the Sound of Music your visit for a deeper appreciation of climbing every mountain. Smuggler’s Notch Resort in Smuggler’s Notch, Vermont continue to offer families a dynamic lineup of programs within its 1,000 acres of alpine ski resort. Smuggs’ has teen centers, kids camps and FunZone play area, all amid a resort village with shops and restaurants, and family-friendly condo lodging. 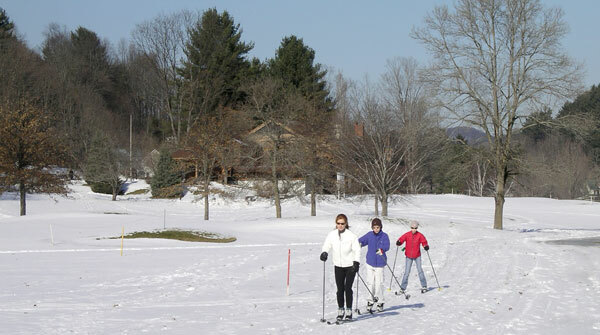 There’s also xc ski and snowshoe trails, winter walking, ice skating, and tubing. Smuggs has been awarded by numerous magazines for its exceptional family fun programs. Pineland Farms is a working farm in southern Maine with trails for xc skiers and snowshoers. They even offer kid-sized equipment and sleds, an outdoor ice skating rink for day or night skating, and self-guided farm tours including to a view of how cheese is made. Lone Mountain Ranch in Big Sky, Montana is a beautiful dude ranch, with 85-kilometers of nordic trails on 140 acres, and amazing views of Big Sky’s Lone Peak and Spanish Peaks. Rentals and lessons are avalable from the Orvis Lodge, by the horse stables. 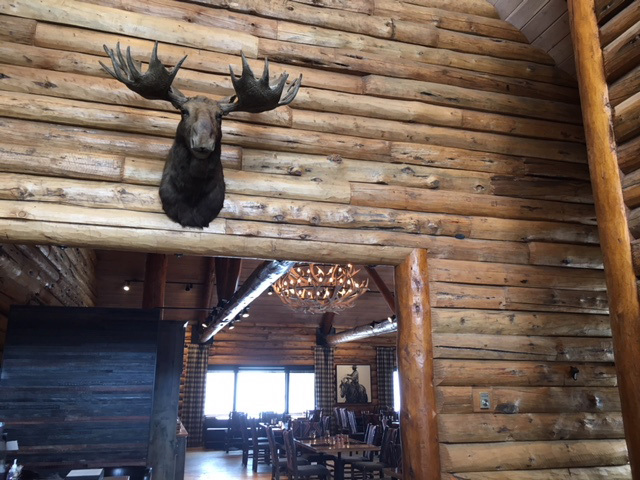 This magnificent 1915 Lodge and Ranch is worth discovering, for cross-country skiing and for dining – choose the horse drawn sleigh ride dinner, or The Horn and Cantle Restaurant – a beautiful timber lodge where local bison, elk, duck and trout are served in a rustic sophisticated setting. 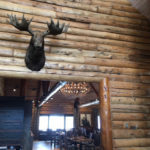 Kids will love seeing the Big Horn Sheep, Beer, Elk and Moose decorating the Lodge, parents will enjoy cocktails in the Copper Saloon and the Montana fare. Consider staying here in a cozy cabin, to truly expereince the winter animal tracking tours, snowshoeing, tubing, sledding, snow kickball, and scavenger hunts, extensive xc skiing at this picturesque setting, plus alpine skiing at Big Sky six miles away. See our Lone Mountain ranch review. 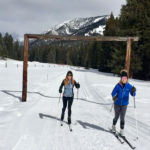 Devils Thumb Ranch and Spa in Winter Park, Colorado is a classic Steamboat Colorado ranch with outdoor adventures from XC skiing and snowshoeing to Zipline, horseback riding and laser biathlon, with the bonus of spa facilities for mom and dad. Devil’s Thumb is famous for its “cowpoke camps” for overnight guests, kids can participate in in half and full day programs. The ranch also offers a heated pool, movie nights, and a game room. Snow Mountain Ranch in Colorado is a destination for the whole family with the most affordable lodging which includes a Day Pass covering kids program with outdoor fun and indoor activities such as a pool, climbing wall, roller skating, craft shop, and more. 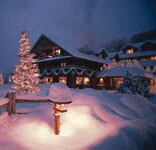 Ski Granby Ranch offers alpine skiing as well on over 400 acres. Montecito Sequoia Lodge in Kings Canyon National Park, California offers Nordic skiing amidst giant trees in Sequoia National Park. Daylong programs for children also include a break for the family to join together during lunch. The kids build igloos, go tubing and xc skiing or snowshoeing on nature hikes to see and learn about animal tracks. At night there is dancing, karaoke and bingo at The Lodge. Maplelag Resort in Callaway, Minnesota is run by a 3-generation family. This resort has families returning year after year for the family style meals and talent/variety shows in the main lodge. The state’s largest hot tub, famous bottomless cookie jars, sledding, ice skating, and XC ski/snowshoe trails combine to make this a top winter family destination in Minnesota. Palmquist Farm in Wisconsin is an XC ski center on a farm with rabbits, horses, cats and dogs. Kids can tube and sled on sliding hills and ice skate on the pond. Families will enjoy horse-drawn sleigh rides. Palmquist offers kids rental ski equipment and well maintained trails. A visit to Palmquist’s is like coming home to Grandma’s farm.